This study investigates factors that influenced the science, technology, engineering and mathematics (STEM) subject enrolment decisions of Year 12 students in Australia. Structural equation modelling (SEM) is used to develop a model using Programme for International Student Assessment (PISA) and Longitudinal Surveys of Australian Youth (LSAY) data with participating students (N = 7442) from 356 schools. An adapted version of the theory of planned behaviour (TPB), a behavioural prediction model, is used as the guiding conceptual framework. 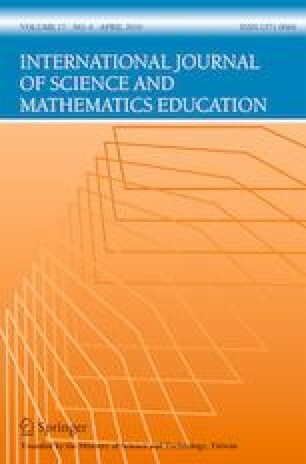 Students’ demographic background, attitudes towards science and achievement in science and mathematics at age 15 are used as predictors for subsequent enrolment in STEM subjects in Year 12. Gender, socio-economic status (SES) and immigrant status (native vs. non-native) are shown to be contributing factors. The personal value of science, enjoyment of science, self-concept in science and achievement (mathematics and science) are mediating factors in the model. These findings provide schools, policymakers and educational advisors with a greater understanding of the factors that influence Australian students’ decisions of whether to enrol in a STEM subject at Year 12. Evidence provided allows key stakeholders to take a more targeted approach to enhance STEM participation for students from varying demographic backgrounds. The first author of this study was funded by the Australian Government Research Training Program Scholarship during his PhD candidacy. Data from PISA is publicly and freely available. Consent for participants in PISA was obtained via parental consent (implicit or explicit). Data from LSAY was accessed after permission from NCVER and ADA was received. All participants in LSAY gave informed consent via telephone, online or in person. Deloitte. (2012). Measuring the economic benefits of mathematical science research in the UK. Retrieved from https://epsrc.ukri.org/newsevents/pubs/deloitte-measuring-the-economic-benefits-of-mathematical-science-research-in-the-uk/. Kennedy, J., Quinn, F., & Lyons, T. (2018). The keys to STEM: Australian Year 7 students’ attitudes and intentions towards science, mathematics and technology courses. Research in Science Education. https://doi.org/10.1007/s11165-018-9754-3. Lent, R. W., Brown, S. D., & Hackett, G. (1994). Toward a unifying social cognitive theory of career and academic interest, choice, and performance. Journal of Vocational Behavior, 45(1), 79–122. https://doi.org/10.1006/jvbe.1994.1027. Muthén, B. O., du Toit, S. H. C., & Spisic, D. (1997). Robust inference using weighted least squares and quadratic estimating equations in latent variable modeling with categorical and continuous outcomes (Unpublished Technical Paper). Retrived from https://www.statmodel.com/download/Article_075.pdf. Organisation for Economic Co-operation and Development. (2006). Programme for International Student Assessment, 2006 [Dataset]. Retrieved from http://www.oecd.org/pisa/pisaproducts/database-pisa2006.htm. PricewaterhouseCoopers Australia. (2015). Future-proofing Australia’s workforce by growing skills in science, technology, engineering and maths (STEM) (P. S. R. Centre, Trans.). Retrieved from https://www.pwc.com.au/pdf/a-smart-move-pwc-stem-report-april-2015.pdf. Wu, M. (2005). The role of plausible values in large-scale surveys. Studies in Educational Evaluation, 31(2), 114–128. https://doi.org/10.1016/j.stueduc.2005.05.005.